Many people in our country are becoming concerned about the rising cost of funerals. We feel there is a more affordable solution to this problem. Cremation, Immediate Burial and Anatomical Donation are being chosen by more families each year, indicating that the consumer is selecting a more affordable plan of final disposition. Until recently, the public has had few choices in this matter. By eliminating costly buildings, cars and personnel, we can offer several types of dignified services to satisfy both the economic needs and personal preferences of the family. The Affordable Alternative. Our full service, licensed funeral home is designed to serve the needs of families who desire quality funeral services at affordable prices. We provide traditional funeral service with the added advantage of specializing in non-traditional services including cremation, graveside or church services, medical school donations, and worldwide transportation services. Over one hundred styles of caskets, many urns, and several options of burial vaults along with other funeral related products and a solid oak cremation rental casket are offered at substantial savings. The chapel hours for visitation and funeral are based on first available openings, and charged on an hourly rate, therefore allowing your family to opt for as much time as needed instead of paying a flat rate often charged within the industry. Automotive equipment such as a hearse or limousine is rented as needed. By applying these charges only when used we help to reduce our overhead to families choosing alternatives. Alternative Funeral & Cremation Services believes that a family should have a quality, dignified service, paying only for services rendered. These arrangements may be made either at the time of need, or by pre-arrangement. Arrangements paid in advance are guaranteed and the price will never increase. This is available through a funeral trust, controlled and monitored by the state of Missouri and endorsed by the Missouri Funeral Directors Association. Our funeral directors are Missouri licensed with over seventy-five years of collective experience. 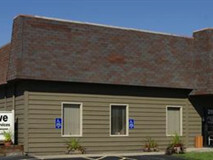 We are also family owned and operated, having lived in the St. Charles community for over forty years. A simple phone call to our office will allow us to discuss your options and cost. We may be reached twenty-four hours a day. If you have an existing funeral plan, we may be able to save you money! Until his death, Jim was the President of Alternative Funeral and Cremation Services and Vice President of Lonning Mortuary Services. Jim was a Missouri licensed funeral director and embalmer with over 50 years of experience in funeral service, the past 40 in St. Charles County. Mr. Lonning received a Bachelor's Degree from Calvin College, Grand Rapids, Michigan and was a graduate of The California College of Mortuary Science, Los Angeles, California. Jim is married to Marian Lonning, one of the founders of Community Living Inc. He has two children, Bob and his wife Karen, of St. Charles, who are partners in the business, and Pat and her husband Henry Slodkowski, of St. Peters. They have four grandchildren and nine great-grandchildren. He and Marian loved to spend time at their lake house on Clearwater Lake and enjoyed their grandchildren. They were very involved with St. John United Church of Christ, Weldon Spring, MO. Jim was a member of the National and Missouri Funeral Directors Association. He was also organist, choir director and Council Member of St. John's United Church of Christ, Weldon Spring. He was a past member of Immanuel Lutheran Church, St. Charles, having served as organist, and twice past President of the Church, as well as a member of various clubs and organizations in ST. Charles County. Bob is a Missouri licensed Funeral Director and Embalmer with Over 36 years in Funeral Service, serving the St. Louis and St. Charles areas for most of that time. His company, Lonning Mortuary Service, also serves as the sole transportation service for the St. Charles County Medical Examiner's Office and he is part of the St. Charles County Emergency Management Agency. Mr. Lonning is a graduate of Mid America College of Funeral Service, Indianapolis, Indiana, Fountain National Academy of Embalming Skills, St Louis University School of Medicine Medico Legal Death Investigator, and Certified Crematory Operator. He is also a former licensed drug and alcohol abuse counselor by the State of Missouri. Bob is married to Karen Lonning, who is also active in the business. They have two daughters, Megan and her husband Mark Leone, of St. Charles and Leanna, of St. Charles. Bob has six grandchildren. Bob and Karen reside in St. Charles County, and love to ride Harley Davidson Motorcycles and spending time with their grandchildren. Bob is a member of the National and Missouri Funeral Directors Associations as well as the 6th and 7th District Funeral Directors Association. He is a member of the St. Peters Chamber of Commerce, the National Harley Owners Group and the St. Charles Chapter of the Harley Owners Group. He is a former Board Member of the Missouri Funeral Directors Association and Share Holder Representative for the Missouri Funeral Trust. Karen Lonning is Vice President of Alternative Funeral & Cremation Services as well as Lonning Mortuary Services. Karen is a licensed Missouri Funeral Director serving the St. Louis, St. Charles County and surrounding areas. After 25 years she retired from Citibank and joined the family business. Karen is married to Bob Lonning who is the Founder and President of the businesses. They have two daughters Megan and her husband Mark Leone, of St. Charles and Leanna, of St. Peters. They have six grandchildren. Bob and Karen reside in St. Charles County, and love to ride Harley Davidson Motorcycles and spending time with their grandchildren. Karen is a member of the National and Missouri Funeral Directors Associations, the National Harley Owners Group and the St. Charles Chapter of the Harley Owners Group. She belongs to networking groups education seniors of our area on the resources that are out there to assist them with the aging process. Katie is the office manager of the funeral home, a licensed funeral director, and enjoys meeting and serving families. She graduated from St. Louis Community College with an Associate's degree in Applied Science in 2011 and has been with the company since 2010. Katie graduated from Troy Buchanan High School in Troy, MO in 2005. Katie is married to Eric and they have six children, Emma, Aiden, Lana, Brooke, Landon and Kylee and resides in Warrenton, MO. She grew up in Hawk Point, MO..
She enjoys spending time with her family, being outdoors and experiencing new things. Kyle is currently an apprentice assisting with embalming at the funeral home. In addition, he also helps keep the funeral home clean and set up for both visitations and funeral services. Kyle also assists the funeral staff in gathering death certificates for families and also works as a removal specialist for Alternative Funeral and Cremation Services and Lonning Mortuary Service. Kyle went to high school at Parkway South, and earned an Associates Degree in Funeral Services from St. Louis Community College. He has an apprenticeship license in embalming and hopes to become a full time removal specialist and embalmer. In his free time, he enjoys reading, gaming and following both baseball in general and the Cardinals in particular. Jim has been with the company since 2010 as a removal specialist. Jim moved to St. Louis in 1993 after graduating high school on Long Island, NY. He then attended Lindenwood University studying Criminal Justice and Psychology. Jim has five children, Tyler, Bella, Alexa, Kaya and Gianna. When Jim is not working he enjoys riding his Harley, cooking and spending time with his family. Jerry came to the Funeral Business in 2013 as a part time removal specialist. He has over 17 years experience in the retail business where he still is active as a General Manager. He has lived in St. Peters for over 15 years with his wife, Mendi and daughter, Morgan. He is active at Celebration Church and enjoys spending time with his family on his days off. He is a graduate of Southern Illinois University with a Bachelor Degree in History.